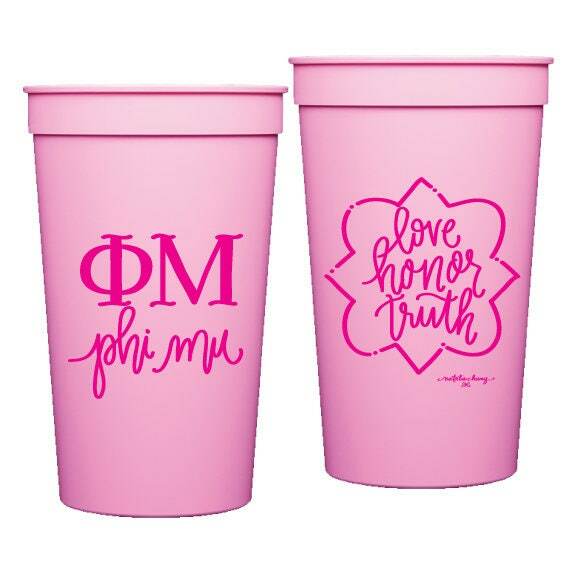 Two sided cup featuring hand lettering of Phi Mu on one side and the phrase "Love Honor Truth"
Very nice size. Just as pictured. Seller packer them very nicely.